Finding excellent tree removal Long Island services is very important. The job needs to be done right. Tree King is a family run business that has over 30 years in the industry and can effectively and efficiently ensure the safe removal of all trees no matter their size. Contact Tree King for more information! At Tree King we pride ourselves at being the leaders at delivering the best guaranteed tree removal Long Island services suited to your commercial and/or residential needs. Trees are beautiful and can live for many years, with some having the ability to grow extremely large. Proper care ought to be practiced to ensure the health of the tree itself and the safety of everyone around the area. Trees undergo a long life’s journey and may encounter a disease that cannot be treated and the only option would be the complete removal of that tree. Dead trees should also be done away with as they could pose a risk and become more expensive to remove the longer they decay. Trees may also pose a risk factor if they’re growing in such as manner that they may be reaching dangerous areas such as power lines or possibly damaging commercial or residential properties. 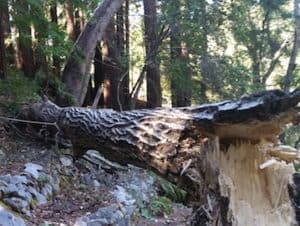 The roots of the tree may damage sidewalks and driveways of properties or could be growing in a way that it poses problematic to the public and may also have to be removed. Tree removal Long Island services will also assist you if you’re looking to create a better landscape or to clear up the land for renovations. 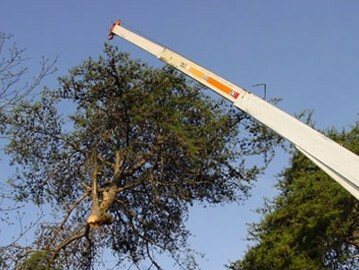 At Tree King, we have all the machinery and tools necessary to complete a tree removal process successfully, including our crane. Tree emergencies happen, especially during storms. Tree King is just a phone call away. 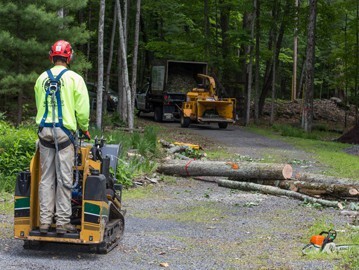 Whether your tree is dead, decayed, or its branches are loose or broken, Tree King can take care of removing hazardous trees in the safest and most efficient manner. Tree removing is a highly technical job and mistakes are not permitted. That is why you need a professional team to help you. If your tree is diseased, decayed, damaged beyond repair, or it is simply a liability, you will need to remove it completely from your property, and Tree King is the best company for the job.